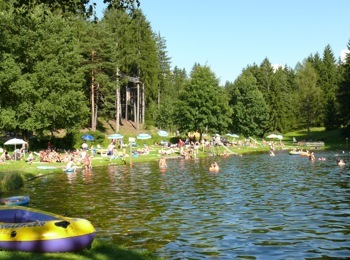 „More than just water!“ is the motto of the bathing lake in Issing. And justifiably so, because it offers not only fresh water for hot summer days, but it is considered also as one of the last pond biotopes in South Tyrol – and therefore as unique and holistic nature experience. The pond is located at about 1,000 m above sea level in Issing, a small locality that is part of the sunny village Pfalzen. In spite of the great variety of animals and plant you don’t have to worry that they contest your swimming place. Far from it! In fact the natural, well-kept ambience renders the special nature experience possible. 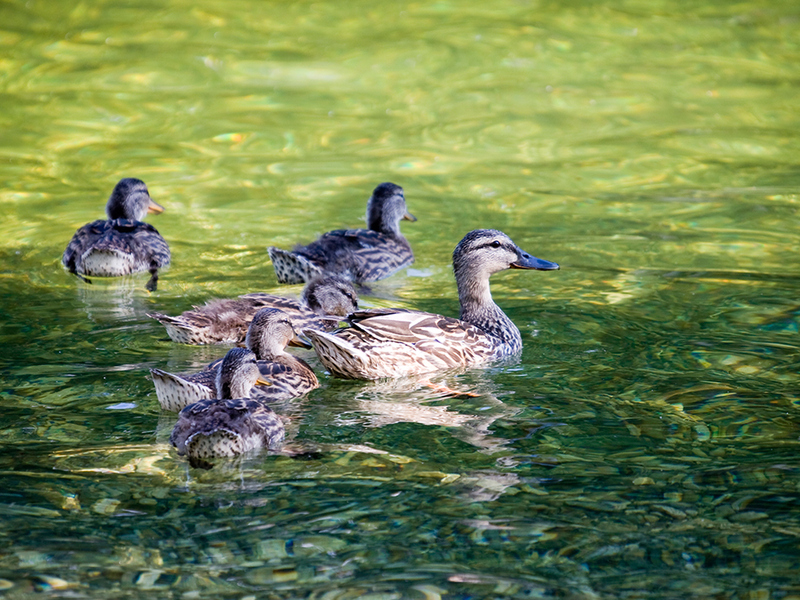 Pure nature is very important for the pond and its environs: The refreshing water is best spring water that elates biologists due to its quality and purity and is considered as very stimulatory. In the water there are no artificial substances and also the lawns are dunged only with natural additives. 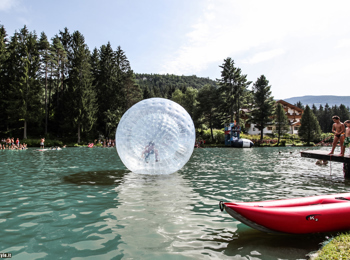 In order to protect the small nature paradise in the holiday region Kronplatz the visitors’ sense of responsibility is required, too and all bathers have to stick to some rules. For instance anybody has to take a shower before he goes swimming, to apply sun lotion sparingly and to be careful with the living space of dragonflies, frogs & Co. 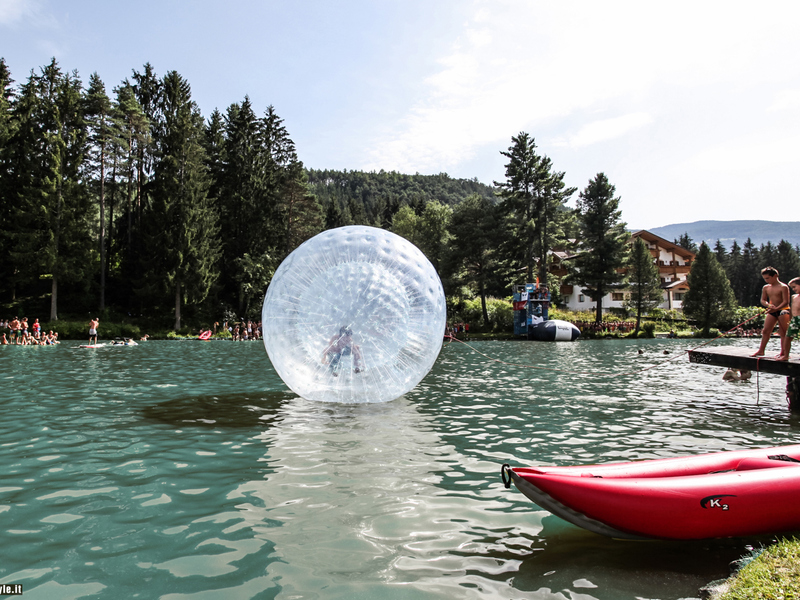 Directly on the lakeside of the swimming pond Issing there are a lawn for sunbathing, a playground and a restaurant. If you would like to spice up a relaxing day with some action, we recommend you the neighbouring adventure park Kronaction. Moreover, you can visit Bergila, a nearby distillery for mountain pine oil with herb garden. The bathing pond Issing is open between June and September, every day from 10 am to 7 pm. For adults the entrance ticket costs 5 €, for children under 14 years 3 € and for kids till 6 years admission is free. Reduced prices are afforded from 5 pm, as well as for family and season tickets.